Synopsis: Fletcher Christian successfully leads a revolt against the ruthless Captain Bligh on the HMS Bounty. However, Bligh returns one year later, hell bent on avenging his captors. Did You Know? This is the only film to receive 3 Oscar nominations for Best Actor, but all of them lost to Victor McLaglen for The Informer. To ensure that it did not happen again, the Academy introduced the awards for acting in supporting roles. Quotables: CAPTAIN BLIGH: What’s your name? ELLISON: Thomas Ellison, sir. Pressed into service. I’ve got a wife, a baby! CAPTAIN BLIGH: I asked your name, not the history of your misfortunes. A very exciting adventure, visually ahead of its time. 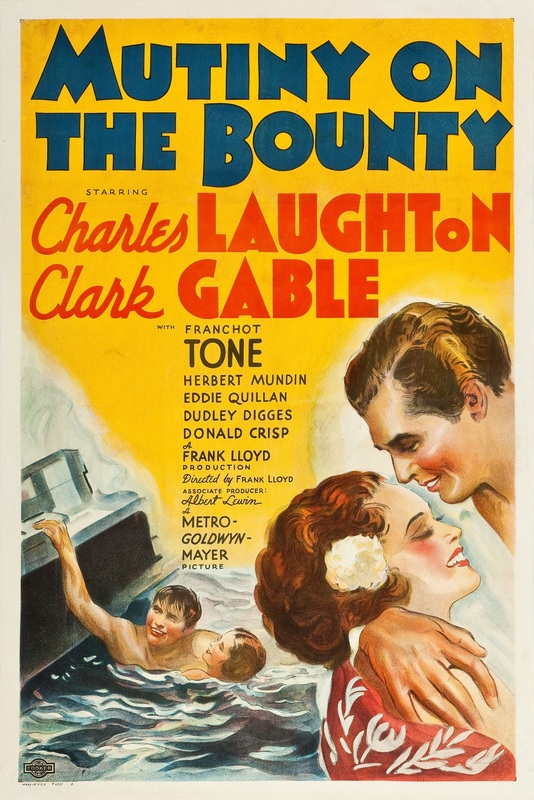 Each of the leading actors is excellent, particularly Charles Laughton. I’m shocked that it only won Best Picture, though I wouldn’t have expected any of the actors to win, since they were all in the same category.